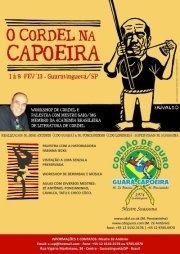 Here is the programme for the event in Brazil in February 2013. There will also be live music and traditional dances! Evening : class and roda! Followed by live Samba and PARTY !!!!!! All waterfalls are different each day ! Further to earlier emails there is the potential for cheap or no cost accommodation. Otherwise, there are also some local hostels (shared accommodation) including breakfast and kitchen facilities available. If you would like to book a place at the hostel (2 mins walk from the academy) you must email Mestre Antonio z.cap@hotmail.com with your name, date of arrival and date of departure. If you have a group of people you may be able to book a room together so send all your details together in one email. There are also several hotels in town all within walking distance of the academy with varying costs per night including breakfast. If more people sharing may be able to negotiate on the price. You should sort your own accommodation and travel to/from the event. 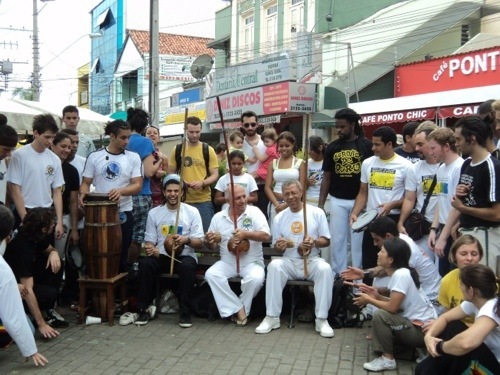 The Academy is in a town called Guaratinguetá which is about 2 ½ hours from the capital of São Paulo. If you arrive at the airport of Guarulhos in São Paulo there is a coach from the airport that goes into São José dos Campos, a town close to Guaratinguetá, and from there you catch another bus that goes direct to Guaratinguetá (both trips from Pássaro Marrom bus services – time table at http://www.passaromarron.com.br/). From Rio de Janeiro, arriving at the Aeroporto Tom Jobim (aka Galeão), take a taxi to Rodoviária Novo Rio – bus station Novo Rio – make sure you take a taxi from the taxi car queue. This taxi trip takes about 20 minutes and costs about R$50. The bus that goes to Guaratinguetá is from SAMPAIO bus services (time table at http://www.transportal.com.br/rodoviaria-novorio cashier 67 at Rodoviária Novo Rio, phone (21)-2233-8325 or (21)-2233-8615, but calling inside Rio de Janeiro you don’t need to dial 21.). The bus trip to Guaratinguetá takes approx 3h.35min and costs R$44,50. There are five bus services per day to Guaratinguetá, with the first at 6am and the last at 18pm, which means that arriving late at the Airport you would be better off sleeping at a hotel INSIDE the Airport (http://www.luxorhoteis.com.br/br/hotel-rio-de-janeiro/index.php and catch a next day bus. 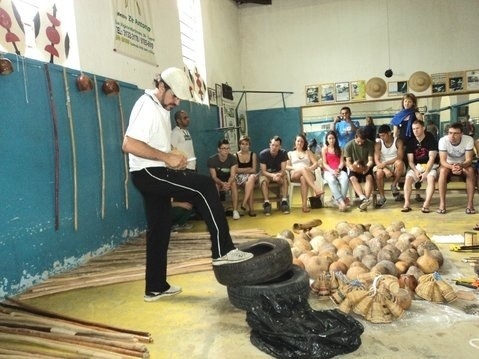 From the coach station in Guaratinguetá you can ask directions to the Capoeira academia of Mestre José Antônio, Cordão de Ouro. There are also taxis at the coach station which you can take either to the academy or to your accommodation. Rua Vigário Martiniano no. 34, Centro Guaratinguetá. Mestre José Antônio’s phone number is: (12) 31323178 land line (12) 97856970 mobile. Please forward this email to anyone else who might need who is not on the mailing list.